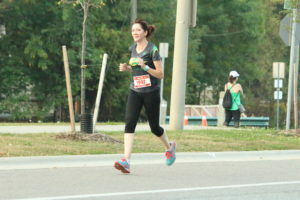 This past weekend The Weather Network issued a Heat Warning and a Special Air Quality Statement for Oakville and the Nutrience Oakville Half Marathon, 10KM & 5KM Events. 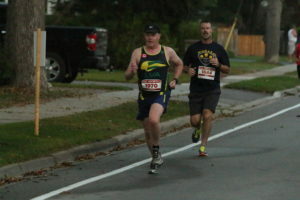 The unseasonably hot weather also saw the Montreal Marathon cancelled and the start of the Half moved ahead to 7:30am. Lions Valley Athletics had 5 athletes running in the 5KM & 10KM events: Michael Gill, Eric Labelle, Darryl Rowan, Michelle Stevenson and Rebecca Stevenson. LVA runners, were prepared for surprises on race day like the heat wave they experienced. 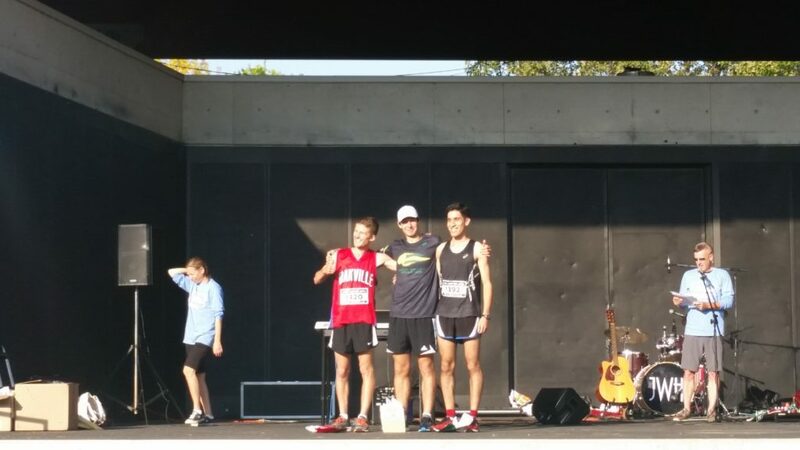 The Nutrience Oakville Half Marathon 10KM 5KM Results for LVA Athletes was spectacular with highlights below. Michael Gill led the 5KM event from start to finish and managed to put nearly a one minute lead on his nearest competitor. Mike won in a time of 15:42.3. He missed beating the course record that he set last year by only a couple of seconds. 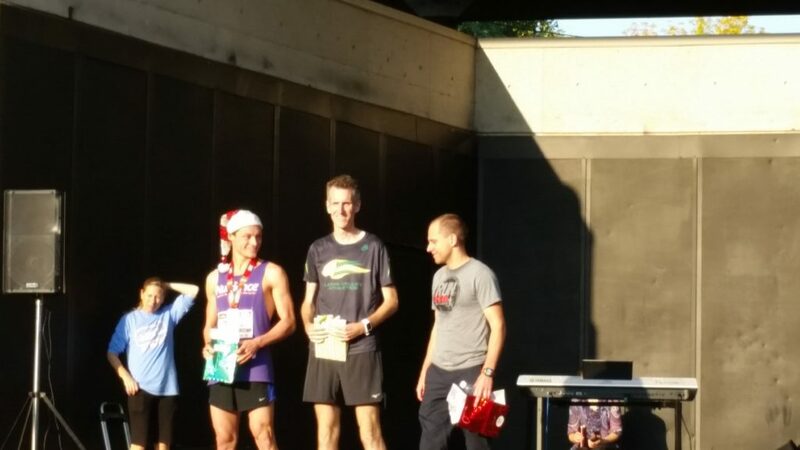 It was great to have Darryl Rowan back racing the 5KM event after some time away due to injury and other commitment. Darryl finished in a time 20:10.3 placing 15th Overall and 2nd in his Age Category. He was also very happy to reach his goal for this race. One of our Junior runners Rebecca Stevenson had a spectacular race blowing away her previous 5KM personal best by minutes with a finishing time of 22:29.7. 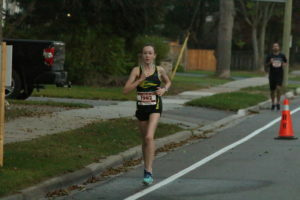 She placed 29th Overall, 5th Female and 3rd in her Age Category. She is now ready to take on her next High School Cross Country race. Michelle Stevenson has come a long way since joining Lions Valley Athletics. 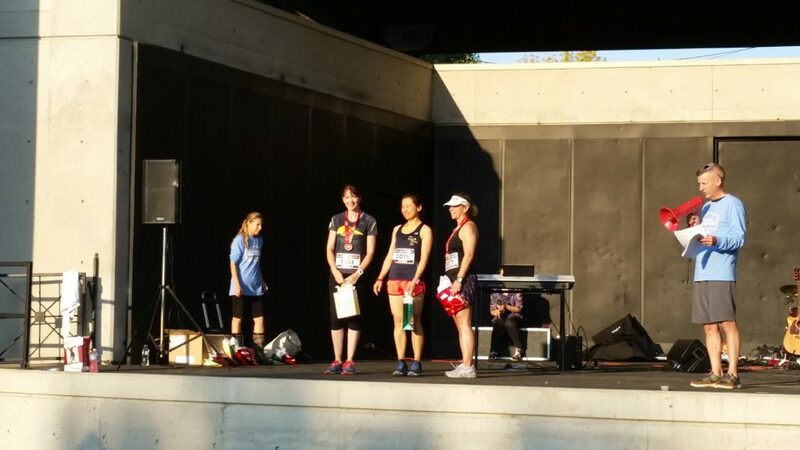 She also set a new personal best for the 5KM distance by finishing in a time of 24:54.2 and reaching her goal of running under 25min for 5KM. Michelle was also the First Masters Female to cross the finish line placing 41st Overall and 7th Female. 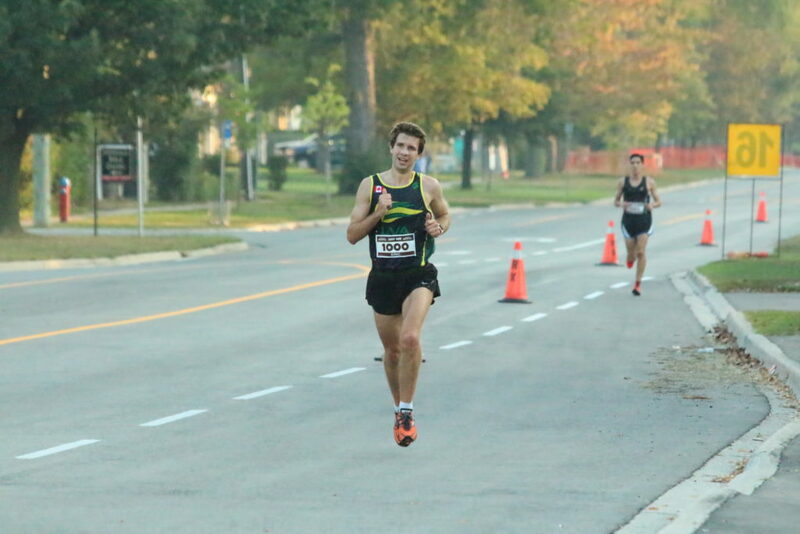 Eric Labelle was the only LVA athlete to toe the start line for the Nutrience Oakville Half Marathon 10KM Event. He had a tough week leading up to this event that made him take some forced recovery days off from running. This was what he needed to taper and race to one of his fastest 10KM times ever. Also close to his personal best time for 10KM. 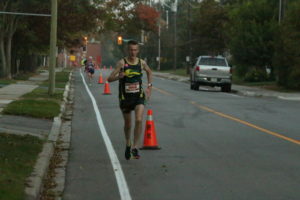 Eric led the race from almost start to finish with one runner trailing him by 100m for 8KM. Kevin Azocar passed Eric to take the lead with about 2KM left to go. Hanging onto Kevin and not giving him a gap of more than 10-20m Eric stayed close biding his time. As they both entered the finishing shute, Kevin first followed by Eric, they had an epic sprint to the finish. Eric turned it on and went hard passing Kevin in the last 10m and threw his arms up in victory after crossing the finish. He won the race in a time of 33:56.2 only 0.8 seconds ahead of Kevin. Congrats on running a very smart race and thanks for the entertaining finish. Eric Labelle crosses the finish line after a sprint finish to win the 10KM. Excellent 2017 Nutrience Half Marathon 10KM 5KM Results by LVA Athletes put all of them on the podium for their Age Category. We had three athletes finish at the top of the podium in their events and categories who were brought up on stage to receive their awards. Complete 2017 Nutrience Oakville Half Marathon 10KM 5KM Results can be found by clicking the links below. Lions Valley Athletics athletes not racing were up early to volunteer and cheer their team mates competing in the 5KM & 10KM. 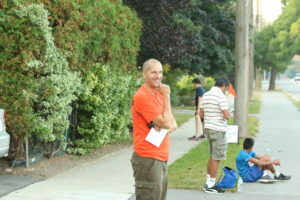 Without their assistance the Nutrience Oakville Half Marathon 10KM & 5KM couldn't run so smoothly. Rebecca and Duke prepare for the Mutt Strut. I couldn’t be more proud of everyone who raced from Lions Valley Athletics! It is always exciting to see the success of our athletes after they put in so much hard work to get there! Congrats to all of you, it is well earned!